It's always nice to see one of the squarebirds (1958-1960) - The newly revised shape that marked the addition of a back seat. This change, instigated by Robert McNamara, wasn't popular with everyone who were sad to see the 2-seater go. However, there is no denying that Ford experienced a massive increase in sales when they went this route. 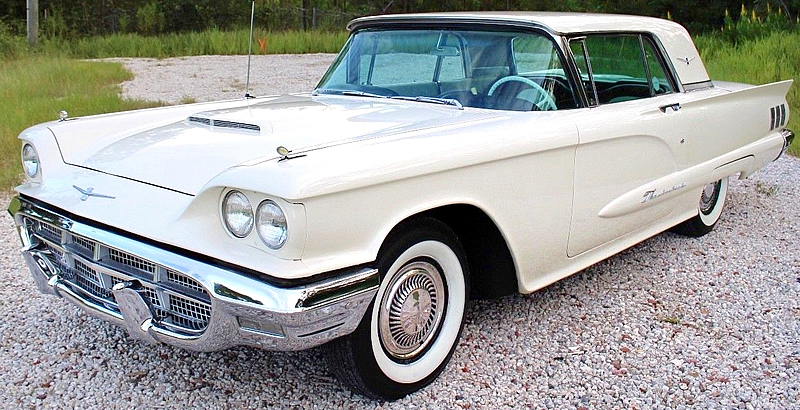 The Thunderbird had been around since 1955 and this was the best selling year yet with over at 92,798 cars sold. The four-passenger T-Bird was doing well. There weren't too many changes this year and this was the third and final year the "Square Birds" body would be used. The grille reverted to the small squares design used in 1957 and there were now three taillights per side rather than two. The 3 sets of hash marks on the rear fender is another sure sign you are looking at a 1960 model. 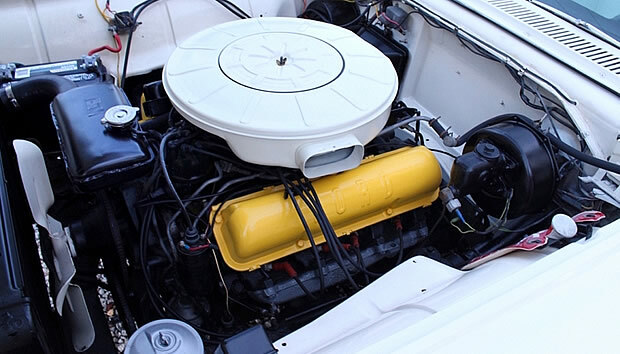 Power comes from a 352 cubic inch Thunderbird V8 engine with four-barrel carburetor producing 300 horsepower. This is paired with the optional three-speed Cruise-O-Matic automatic transmission. 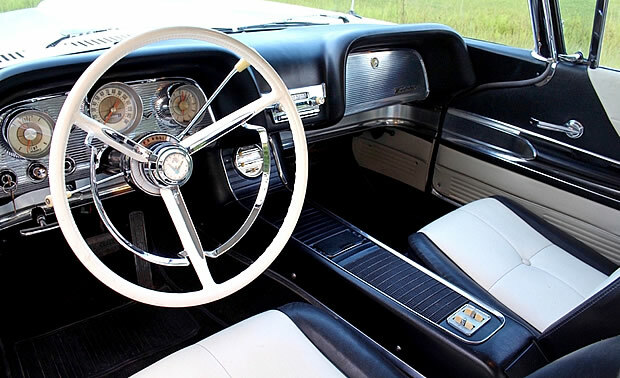 Bucket seats and a center console were standard. The reality was that this was necessary due to the unit body (that didn't have a frame) needed large drivetrain tunnel to provide extra rigidity to the body. This meant that the rear seats were also designed for two making it a 4-seater car. Built in the Wixom Assembly Plant in Michigan it was loaded with great options including; power steering, power brakes, power windows, powered driver's seat, MagicAire heater / defroster and AM radio. 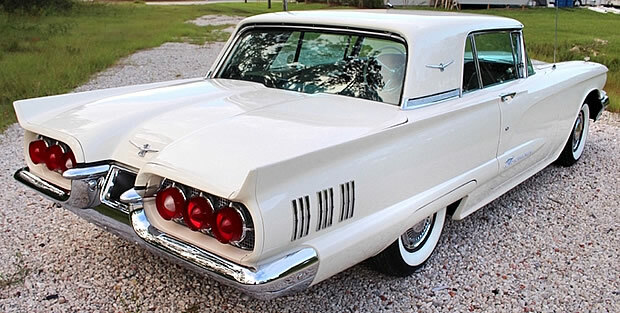 Ford produced 80,938 two-door hardtop Thunderbird cars for the 1960 model year. The base price was $3,755.